Did you know that more than 12.5 million households in the US keep fish tanks stocked with freshwater fish? In fact, when it comes to the variety of pets people can own, fish account for most of them. It shouldn’t be too surprising that fish are the #1 choice for pets. Most of the ones that we will talk about here today are species that tend to be easily cared for, will bring color and beauty to your home, and are quite relaxing when you watch them. Keeping fish can also have certain health benefits. They are good for lowering your heart rate and blood pressure and they can reduce stress. Having said all of that, most people tend to get into keeping fish as a hobby but end up getting ‘hooked’ on it because they are such gorgeous creatures to watch and many of them will have personalities and characteristics that are all their own. For proud fish keepers, there isn’t anything that’s more exciting than planning a new aquarium. However, it isn’t as simple as just going out and getting pretty fish and then keeping them all in a single aquarium. You should consider very carefully the type of fish that will be the best option for you and for your aquarium if you want to make sure that it remains thriving and gorgeous for as long as possible. To that end, we have put this guide together so that it will be easier for you to determine which fish will work well for you. If you happen to be new to this hobby, or if you might not have as much money or time to spend on it, you should get started with beginner fish. These tend to be hardier, easier to keep alive, and more sociable. Once you have a bit more experience and time, you will be ready to begin experimenting with other fish. 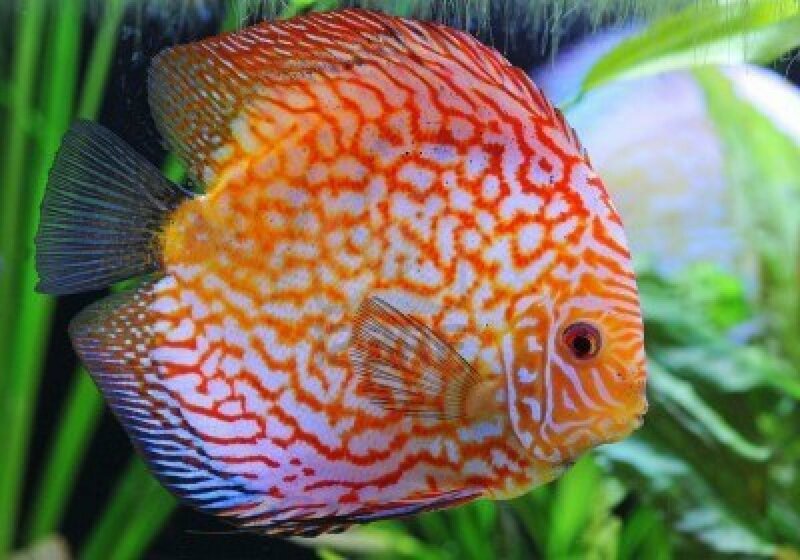 This is an incredibly popular type of fish, and they are easy to find in most pet or fish stores. They are ideal for beginners because of their adaptability and their ability to survive in quite a few different types of environments. Best of all, there isn’t any need for any special equipment. The males of this species can grow to about 1.4 inches while the females top out around 2.4 inches. If they live to old age, they can grow to be 2 years old. These fish bear live young. They can be found naturally in South America. The optimal water temperature should be around 82 F and it should have a pH of 6.8 – 7.8 for them to thrive. They eat fish meal that contains things like dried bloodworms and brine shrimp. The minimum for tank size is 10 gallons. These are peaceful fish that are best kept in a group as opposed to just one or two of them. 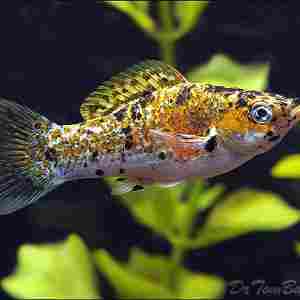 Another fantastic beginner freshwater fish is the Platy. 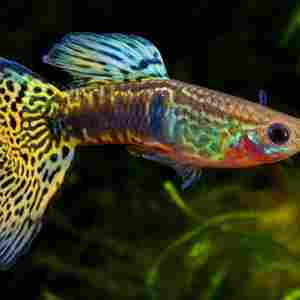 They are small, like guppies, and colorful. They are also low maintenance and easy to care for. 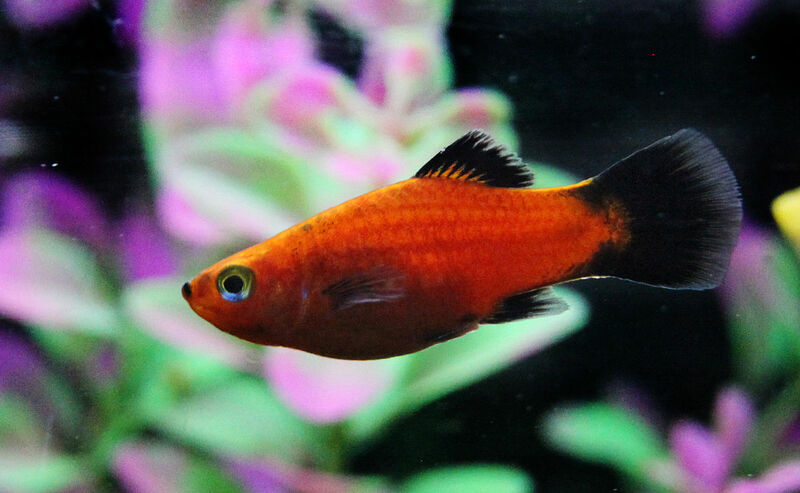 You can find the platy is a variety of different colors that can include red, yellow, orange, white, and blue. Many of them will have funky names such as Mickey Mouse, the Tuxedo platy, and the Wag Tail. The males of this species can grow to 1.5 inches while the females can be as big as 2.4 inches. 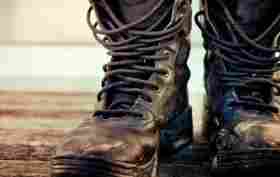 They have a typical lifespan of about 3 years. They bear live young and they might eat them. They are found naturally in Central America. The best water temp for them is about 78 F and the pH should be between 7 and 8. The best food for them is flake food although they can also eat some live or frozen food. They should be kept in a tank at least 20 gallons in size. These are a peaceful fish and will thrive in groups that have 2 females for each male. 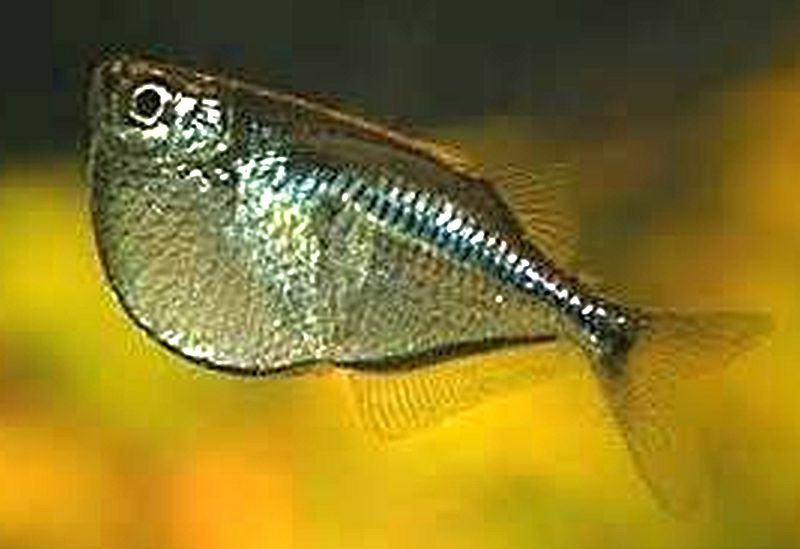 Mollies are a very cool freshwater fish that can be a great addition to any beginner freshwater aquarium. 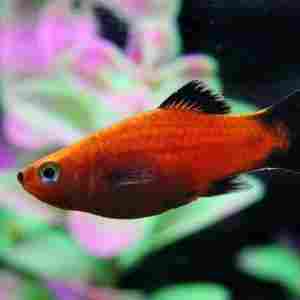 Like the Platy, they are available in an assortment of variations, but they can typically be categorized as either sail or short finned. The short-finned variety are easier to take care of and tend to be more common, so this is the one that is recommended for beginners. The Mollies can grow to be as long as 4 inches and can live up to 3 years. They bear live young and may eat them. They are naturally found in Central America. The ideal water temp for them is around 80 F and they will thrive in a pH of 7.5 – 8.5. You can feed them flake food or vegetables. They will need a tank size of a minimum of 20 gallons. These fish are peaceful and will do well in groups that feature 3 females for each male. They also tend to do well with other live-bearing species. 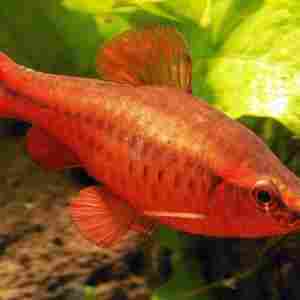 This is actually a tropical freshwater fish and is a member of the Cyprinid family. Like the others we have looked at, this one is also small, but it does feature a gorgeous horizontal stripe. The males tend to be a beautiful cherry in color. This fish can grow to as long as 2 inches and has a lifespan of about 4 years. It lays about 200 – 300 eggs at a time. You can find it naturally in Sri Lanka. The best water temp for it is 81 F and the ideal pH is 6 – 8. This fish is versatile when it comes to food and can eat frozen foods, live food, vegetables, and flake food. The ideal tank size is 30 gallons. 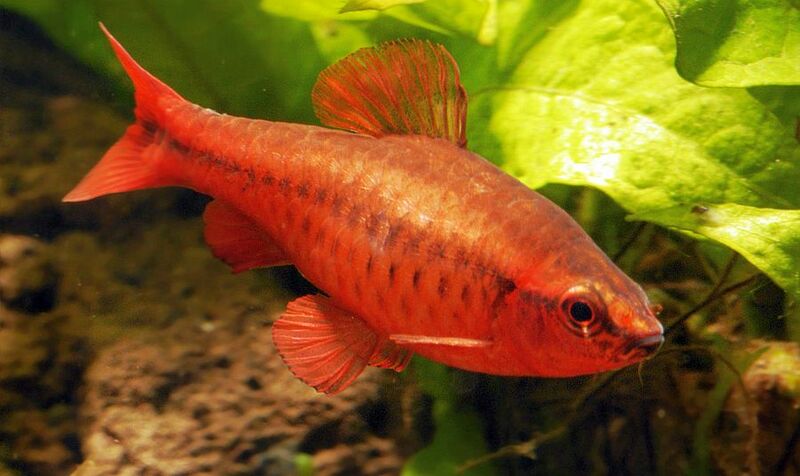 The Cherry Bard is a generally peaceful fish although some males have been known to be aggressive from time to time. They do well in groups that consist of 5 or more with the male-female ratio being at 1-2. 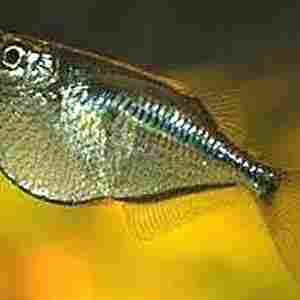 This is a small freshwater fish that can be found in many beginner tanks. They are small and colorful and famous for the iridescent stripes that run horizontally through their little bodies. 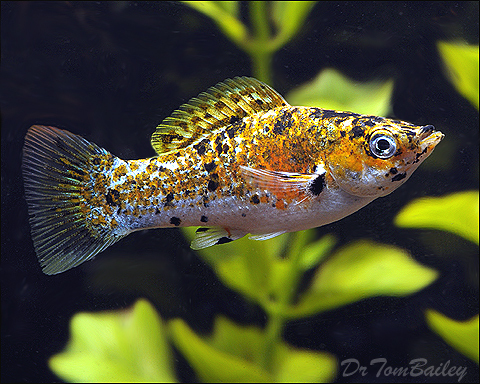 They are easily maintained and can easily adapt to different aquarium conditions. This fish can grow to be as big as 2 inches and they have a lifespan of about 4 years. They lay eggs and will need a separate tank with minimal lighting for breeding. 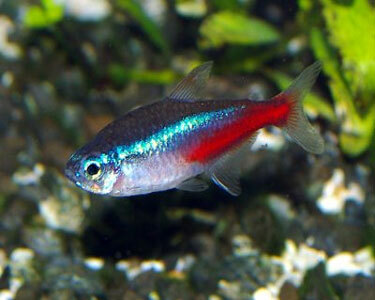 They are a South American fish that does well in water temps of about 78 F with a pH of 5 – 7. These fish will eat flake food, live or frozen food, and vegetables. They do best in a tank that is at least 10 gallons. These are a peaceful fish and they thrive in groups of at least 6 and with tankmates that are also non-aggressive. This is one of my favorite freshwater fish for beginners. It is incredibly exotic in appearance yet requires minimal care. 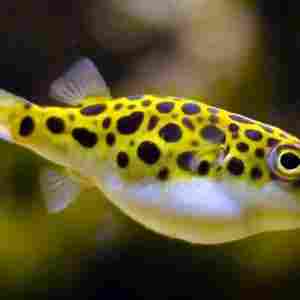 These fish are extremely hardy and have the ability to adapt to a vast array of water environments. Additionally, once they choose a mate – that is it for them until they die. 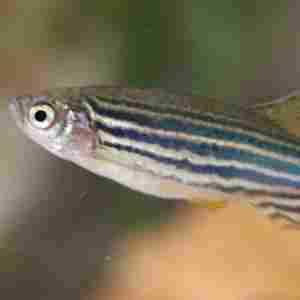 The typical size for a Zebra Danio is about 3 inches. They can live for as long as 5 years. They lay anywhere from 300 – 500 eggs at a time. You can find them in nature in the Eastern part of India. For them to thrive, the water temperature should be between 65 – 75 F and the pH should be between 6.5 and 7. You can feed them frozen fish food or fish flakes. You would do well to put them in a tank that has a minimum size of 10 gallons. This is a peaceful fish and they do well in groups that have at least 6 and with tankmates that aren’t aggressive. 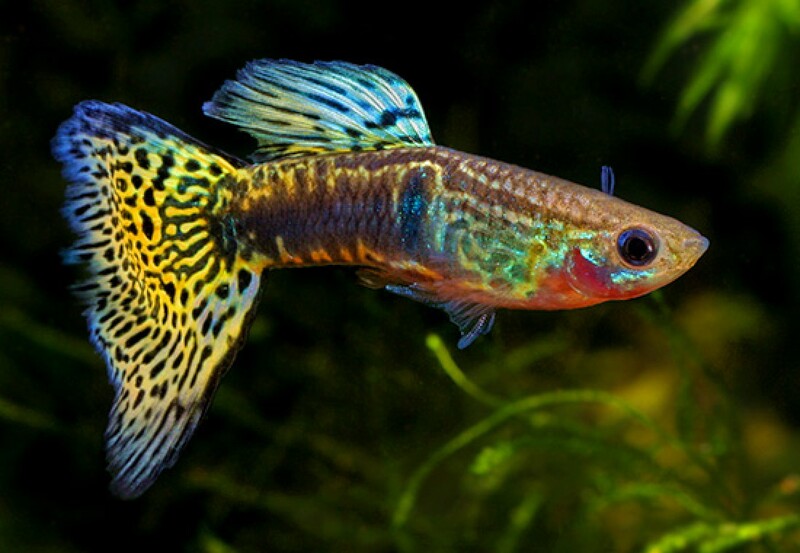 This fish is one of the most gorgeous and colorful freshwater fish that you can find in stores, but they are well-known for being aggressive in a tank. 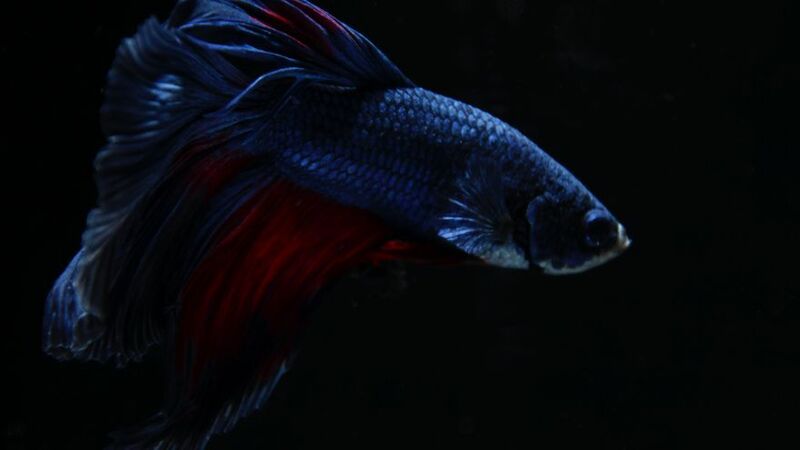 They are known as Siamese Fighting Fish for a reason! When it comes to their conservation status, they are considered to be vulnerable. That said, there is a massive number of variations of this fish. 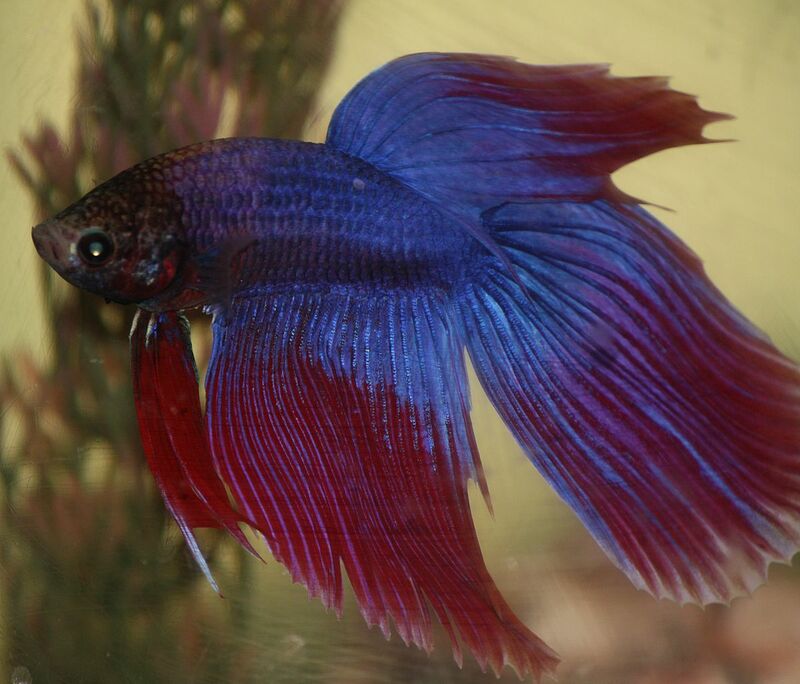 The typical betta will be around 2 inches long and they can live for as long as 3 years. When it comes to breeding, they build a bubble nest to lay their eggs in. They are naturally found in the Southeastern part of Asia. 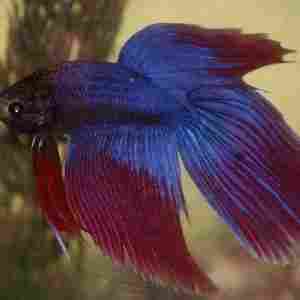 The betta will do well in water that is about 82 F and has a pH of 7. They can eat frozen fish food, fish flakes, or pellets. A good-sized tank for them is a small, 4 – 5 gallons. This fish is both territorial and aggressive. They do well when there are no other bettas in the tank with them although they can be kept with other fish of the same size. Hatchet fish tend to be pretty peaceful with any tankmates, but they are in the intermediate class because they have an inclination to just jump out of their tank when they get spooked. You need to remember to keep the lid securely on the tank. They also do best when they are in an aquarium that has plants – real or fake – in it. This fish grows to a size of 2.5 inches and can live as long as 5 years. You can find them naturally in South America. They thrive in water that is about 80 F and has a pH of between 5.5 and 6.5. You can feed them both live food and flakes. The recommended tank size is 10 gallons and one that has a lid. Generally, this is a peaceful fish, but they have been known to bicker with tankmates of the same species. This fish looks both unusual and exotic. 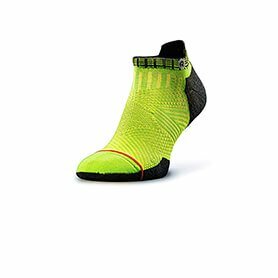 They are sure to garner attention from your visitors. The glassfish is totally translucent, and you can see their organs and skeleton. Some of them are sold after being ‘dyed’ so that they have a funky color but avoid buying any you find like that. Those are more prone to an early death from infections. 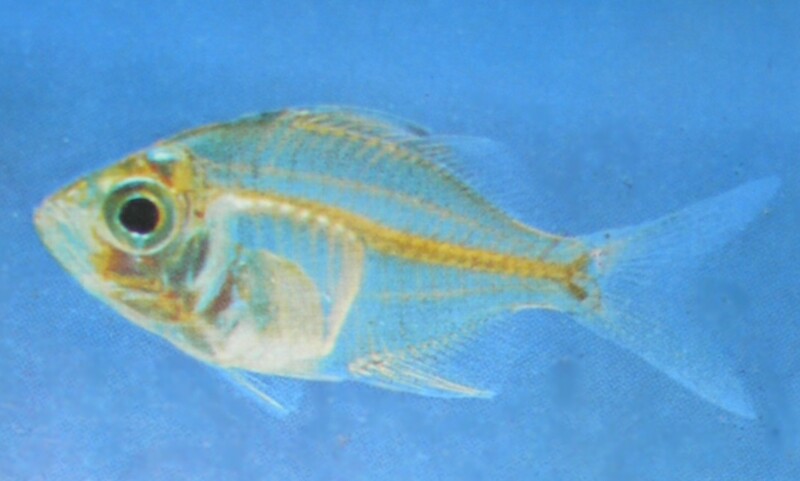 The glassfish will grow to about 3 inches. They lay eggs, but it is very hard on them. You can find them naturally in the southern part of Asia and they thrive in water temperatures that are around 79 F and that has a pH of between 6.5 and 7.5. You can feed them both frozen and fresh fish foods. The ideal tank size for this fish is about 20 gallons. They are peaceful and swim very quickly at times. They will do well in groups of at least 5 and are better suited for tankmates that are peaceful or even semi-aggressive, but not of a size that is large enough to eat them. When it comes to this fish, there are thousands of variations. The convict variety happens to be one of the most popular. It got its name from its fascinating black and white stripes. These have been put into the intermediate category due to them being a bit territorial. Other than that, they tend to be easy to take care of. 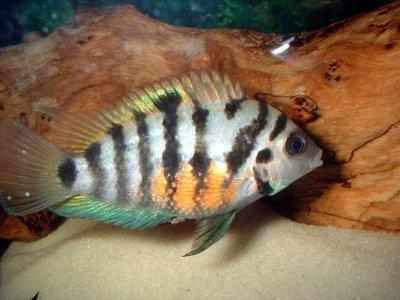 The convict cichlid will grow to be about 4 inches long and can live as long as a decade! They lay eggs and can be found naturally in Central America. 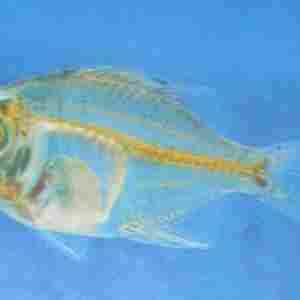 This fish will thrive in water that has a temp of about 75 F and a pH of between 7 and 8. You can feed them both frozen and live fish food, freeze-dried, flake food, or pellets. Again, this is a fish that can be territorial, and they do best when they are alone in a tank size of a minimum of 20 gallons. If you put any other fish in the tank with them, make sure that they are also large cichlids. 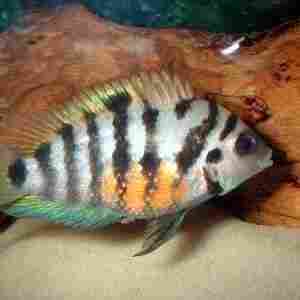 This is another variety of cichlid that is just as popular and common as the one we just discussed. They feature an unusual pattern and are quite colorful. They come in a variety of patterns and colors that includes checkerboard, royal blue, snakeskin, and red turquoise. 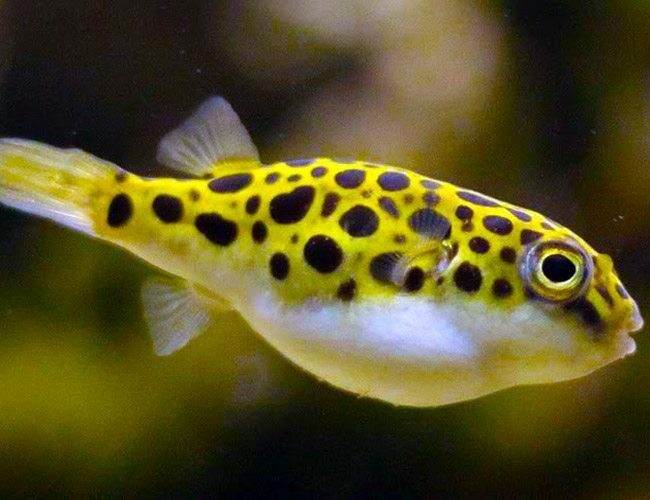 They can be quite sensitive when it comes to chemical alterations in the water, so they are best for experienced aquarists who have the time to regularly change the water. This fish can grow to be about 6.5 inches long and can live for about 10 years. It is difficult to get them to breed, but when they do, they lay eggs. They are found in nature in South America and thrive in water that is about 85 F with a pH of 6.5. You can feed them fresh food, flakes or pellets. They do well in tanks that are a minimum of 30 gallons and are typically a peaceful, social fish. 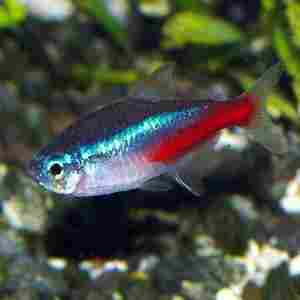 You can put them in tanks with other fish of the same species or with Corydoras or cardinal tetras for tankmates. 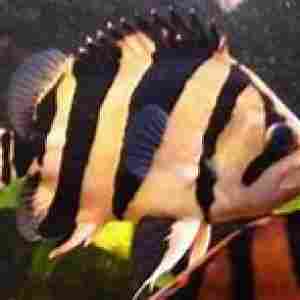 I love this fish, it is a gorgeous fish with tiger stripes. Even though it isn’t the largest of the freshwater fish, it does require a large aquarium because it does better when it has a lot of space. It is also suited to water with a strong current, which is why it has been moved to the intermediate group. 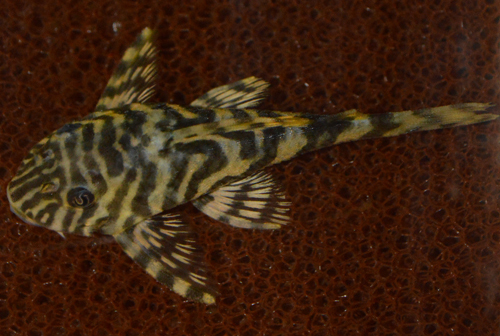 The tiger plecos can grow to a length of 5 inches and likes to spawn in caves when eggs are laid. You can find it in nature in South America and it does best in water that has a temp around 74 F and a pH of between 5.8 and 7. You can feed it algae wafers, bloodworms, and flakes. Recommended minimum tank size is 40 gallons and this is typically a peaceful fish, but it can be aggressive when they get older. They do well in a community aquarium, as long as there are a lot of places for them to hide. This one also goes by the names, gold datnoid and datnoid pulcher. They are actually critically endangered that are normally found in the Southeastern part of Asia. 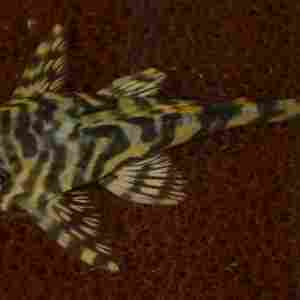 The tigerfish has a striking appearance because its body features black and yellow stripes. It’s known as one of the largest freshwater fish due to it being able to grow to a length of a whopping 16 – 20 inches! The lifespan of this fish is roughly 10 years. It is difficult to get them to breed, but when they do, they lay eggs. They thrive in water that has a temperature of about 75 F and a pH of between 7.6 and 8. You can feed them frozen foods and pellets. The recommended tank size for this fish is 125 gallons and they prefer brackish water. The Siamese tigerfish has been known to be aggressive towards those of the same species and will prey on smaller fish. For this reason, it is better to keep it with fish of a similar size. This fish is a doubleheader. 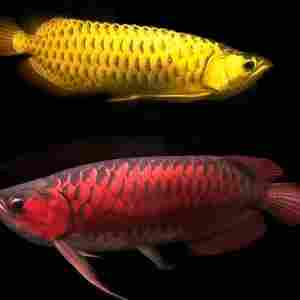 It tends to be both the largest and the most expensive of the freshwater aquarium fish. At least of the Asian variety. Because of their price and requirements for care, these are recommended only to aquarists with the most experience. Aside from all of that, they are also known to jump as high as 6 feet from the surface of the water, so make sure your aquarium has a lid on it. This fish can grow to a size of 3 feet and has a lifespan of about 15 years. When it comes to breeding, they are mouthbrooders who lay eggs. 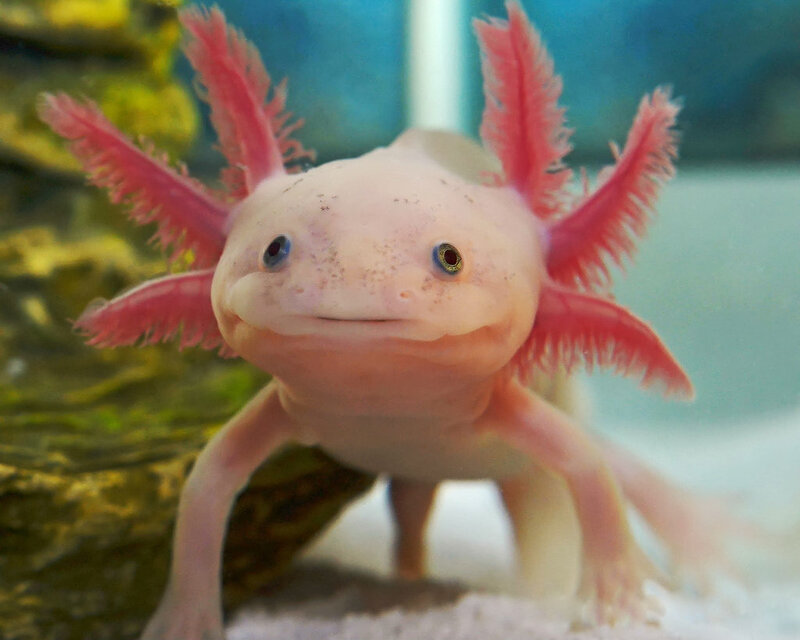 You can find them naturally in South America, Africa, Australia, and Asia and they thrive in water that is about 80 F and has a pH of between 7 and 7.5. You can feed them 3 times a day and they eat fresh foods, freeze-dried foods, and/or pellets. When it comes to tank size, the minimum size would be 150 gallons with a heavy-duty filtration system and a hood. This fish is a solitary fish that has known to be aggressive and dominant. 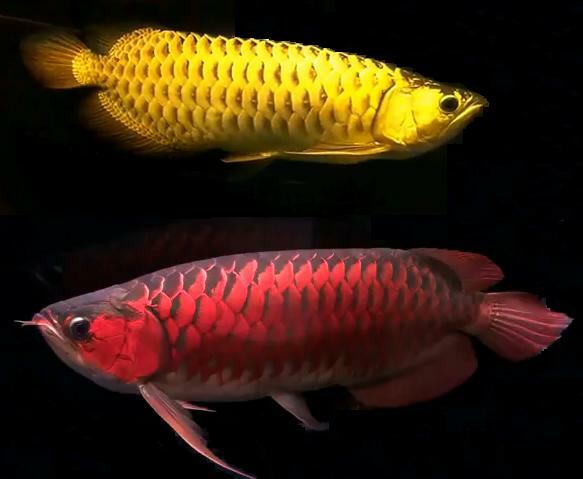 It can be kept either alone or with or fish that are aggressive but that are large enough that the Arowana can’t eat them. 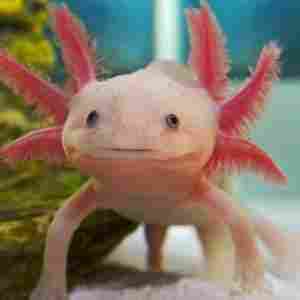 This fish also goes by the name, Mexican Salamander and is actually an amphibian that is critically endangered. It is thought that these might even be extinct in nature, which is why it made the Elite portion of this list. Additionally, they have exacting water needs. They can grow to be as large as 9 inches and can live up to 10 years. They used to be able to be found naturally in Mexico and need a water temperature that is between 61 and 64 F and should NEVER be above 75 F. The water needs to have a pH of between 6.5 and 8. You can feed them fresh food and pellets and they will thrive in a 20-gallon tank that features coarse gravel on the floor and has only a minimal flow of water. They have been known to be predatory and should be kept alone. 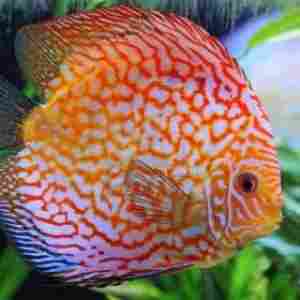 Keeping this fish is the dream of many aquarists, but this variety should be kept only be those with the most experience. Their care needs are quite specific and so is their behavior. These have been grouped with freshwater fish, but they do best in brackish conditions, so you might need a bit of marine salt. This fish can grow to a size of 6 inches and can live as long as 10 years. It is so difficult to breed them that it rarely ever happens. They can be found naturally in Southeast Asia and they thrive in water that is about 80 F and has a pH of between 7.5 and 8.2. You can feed them meat and snails. For each puffer, you need a tank that is a minimum of 30 gallons and it needs to be over filtered and pre-cycled. If you catch this fish in the wild, it needs to be quarantined first. This is an intelligent fish with an appetite that is insatiable. They should be kept alone unless you have a very large tank and then they can be kept with other species. Whew! That is our guide to freshwater fish for your aquarium. Which one is your favorite?